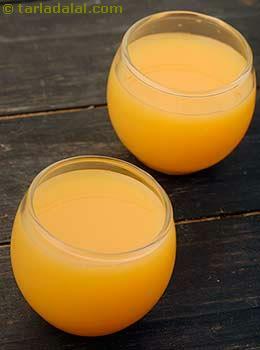 The glycemic index of orange juice is estimated to be around 50 which can range from low to medium GI. As compared to the whole fruit orange, the glycemic index of the juice is higher as it is processed. But if you still opt for orange juice, to maximize its benefits, do not strain the orange juice so that the fiber is retained. When you strain your orange juice, all the fiber goes out and all that remains is pure calories. So it is not at all advisable to strain your juice and drink only calories. Make sure you do not add any additional sugar as it already has natural sugar within it. However, it is always recommended to choose orange as a whole fruit rather than orange juice. Preferably, make your juice at home without adding sugar, because the one which is sold in market might be loaded with lots of sugar. Is Orange Juice Good for Weight Loss? Yes, orange juice is good for weight loss because of it is low in calories. But remember not to add in sugar to the juice and use a high quality mixer which retains all the fiber of the juice. Since oranges are also high in fiber, it will remain in the stomach for a longer period of time and the person will remain satiated. Its high vitamin C content also contribute to weight loss.